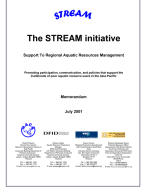 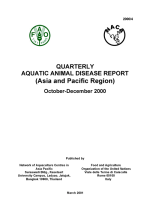 This report, the thirteenth in the series, contains information about the aquatic animal health status of sixteen states in the Asia-Pacific region. 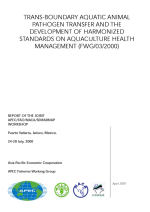 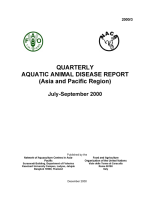 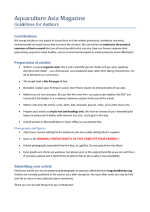 This report, the twelfth in the series, contains information about the aquatic animal health status of seventeen states in the Asia-Pacific region. 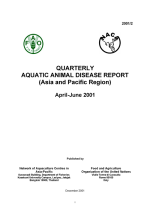 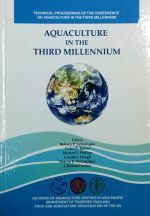 This report, the eleventh in the series, contains information about the aquatic animal health status of fourteen states in the Asia-Pacific region. 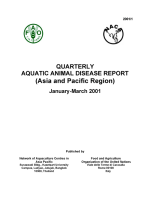 This report, the tenth in the series, contains information about the aquatic animal health status of thirteen states in the Asia-Pacific region. 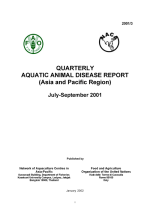 This report, the ninth in the series, contains information about the aquatic animal health status of fourteen states in the Asia-Pacific region.